Especially in 2014, and double-especially in Minnesota, there's something super mega refreshing about hearing rap music for people who actually like rap music. Don't get me wrong, I love hip hop that pushes boundaries and even my own work tends toward left-field, but in a scene where it's not inaccurate to say that the majority of the hip hop getting attention is kind of weird in one way or another, "Southside Looking In" is a breath of fresh air. Soul samples, crisp drums, multi-syllable raps, down-to-earth subject matter; this is the kind of hip hop I fell in love with as a teenager. And when I say that the album has a classic feel to it, I don't mean that it's simple, or that it's just retreading what other people have done a million times before. 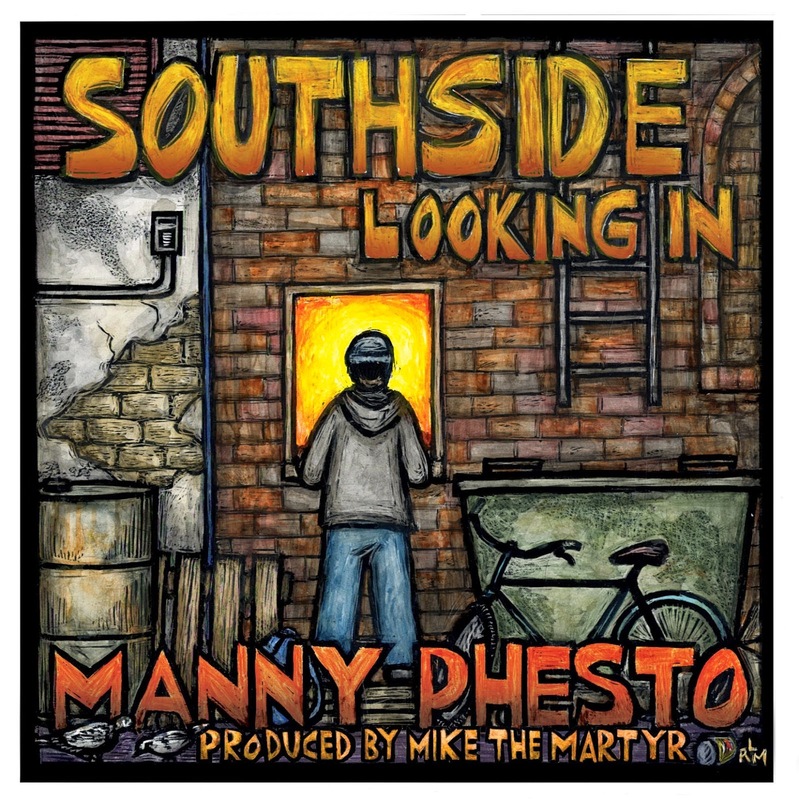 Manny Phesto uses his mastery of craft (the air-tight sixteens, internal rhymes, confident flow, etc.) not as an end in-and-of itself, but as a foundation for digging deeper into his content. 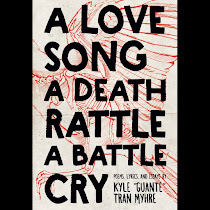 This is a deeply personal album that doesn't drown in melodrama or angst, as well as a deeply political album that never once feels like what we think of when we think of "political hip hop." For lack of a better term, this is REAL. No gimmicks, no trend-chasing-- just a young MC who actually has something to say being bold, honest and vulnerable. Add to that some banging production from Mike the Martyr, who is one of the most consistent producers in this or any scene, guest spots from Greg Grease, Metasota and more, as well as some gorgeous album art courtesy of Ricardo Levins Morales, and you have a classic TC hip hop album that's pay-what-you-want but definitely more-than-worth the $10 if you can spare it. Listen/download/buy here. So this is one of those albums that IS getting some buzz and attention... just not nearly enough. I feel like people are hearing this and thinking "yeah this is good" when they should be heralding the arrival of two artists who are uniquely positioned to actually shift how we think about 21st Century R&B. That may be a bold claim, but this is a bold album, and a must-listen for anyone who has a pulse. To be clear, I have a weakness for edgy, weird, left-of-center soul music. From Erkykah Badu (who always had more going on in her work than most of her neo-soul contemporaries) to acts like Santigold, Janelle Monae, Frank Ocean, Van Hunt and beyond-- these are all artists who tend to get praised, but in a somewhat shallow way. I don't think we always dig into their work beyond the pretty melodies and carefully-cultivated images to get to what is-- I would argue-- pretty radical stuff, both in terms of the substance of the work itself and HOW that work is positioned culturally. I think "Lucid Dreaming Skylines" fits right into that tradition of breaking from tradition. It doesn't SOUND like any of the artists I mentioned above; it's one of those rare albums that isn't just "different in the same way everyone else is different;" it finds an authentically unique sonic space to inhabit. Psymun's production constantly sounds like it's right on the verge of completely falling apart, only to pull itself back together at the last possible microsecond. It's futuristic without the "look how futuristic this is!" bombast of, say, Janelle Monae. 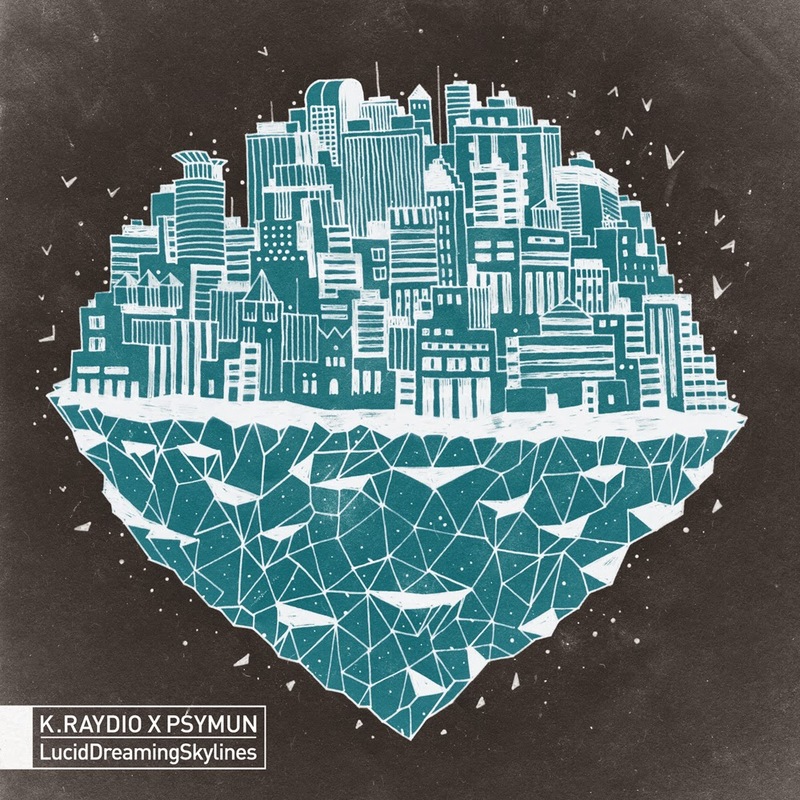 And K.Raydio really asserts her personality and identity here-- both in the songwriting (the lyrics here are a hell of a lot more interesting than your standard indie-soul act) and in her vocal delivery, which is patient, grounded and supremely confident. You don't need the big American Idol-style wailing when you have a voice that can communicate so much more with its subtlety, soul and use of negative space. Listen/Buy/Download here. I've written about Zach's group Big Quarters before; in short, I think they're one of the most slept-on duos in ALL of indie hip hop. Together, they've made some of the best rap music I have in my iTunes, and Zach's production has always been a major part of that. With "Valued Input," Zach enlists three other local rap heavyweights: Mally, Metasota and Slug of Atmosphere. The result is a near-perfect bite-sized encapsulation of what makes the Twin Cities hip hop scene special. And you can download all three tracks for free. Not a full review or anything, but wanted to share this video from The Lioness, someone I've had the honor of sharing the stage with at what feels like a million different events lately, haha. And Lioness is just vicious on the mic. Bar-for-bar, but also in terms of writing songs, she's one of the freshest voices in the scene right now, and is another example of an artist who can make positive music without losing her edge or connection to reality. Here's The Lioness on Bandcamp. Finally, there's been a string of releases from some of the better-known artists in town, from Mally's "The Colors of Black" to Hieruspecs' "Night Falls" to a stream of Atmosphere's "Southsiders." I haven't had a chance to dig into everything yet, but I'm sure they'll all be making noise. Check them out if you're interested too. I'll also be posting a full review of the new Toki Wright x Big Cats album "Pangaea" sometime soon. As I've said many times, the Twin Cities doesn't just have "a lot of rappers." It has one of the deepest, most talented, most exciting hip hop scenes in the country. And if you have a favorite artist or two, I'd encourage you to write about their work, to post it on your Tumblrs, to signal-boost what they're doing. Be the media.